The photo is when we graduated. I am on the bottom row, third from the left. I now live in Longview TX USA, I am retired. Left England in 1960. My name is Anthony Aldridge. 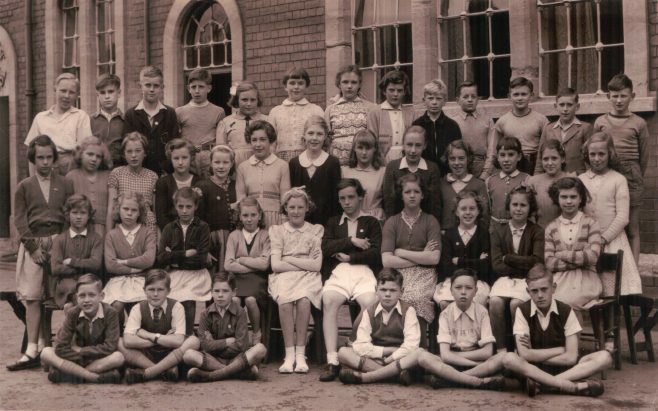 I attended Widden Street School until 1954, then went on to The central Technical School for Boys. You must have been the year above me, I reconise my friend Wendy Wood 1st row of girls 1st on right. Sadly I heard she had passed away .